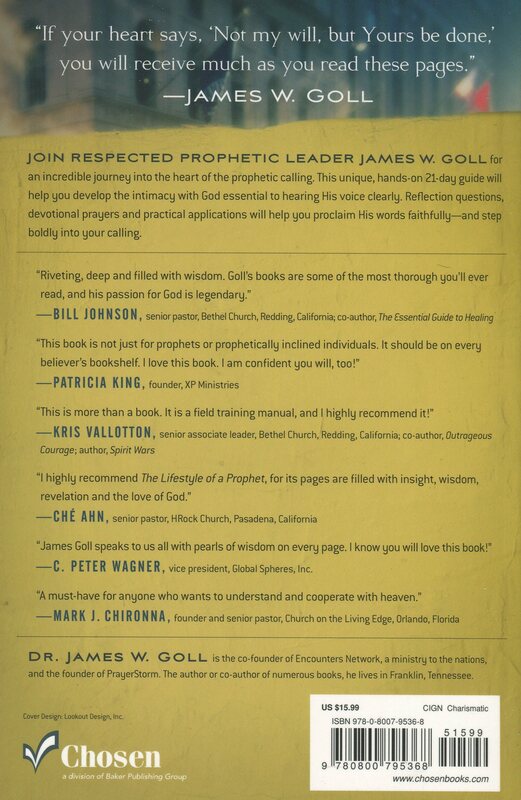 ‘The Lifestyle of a Prophet’ is a hands-on guide by internationally respected prophet and author James Goll about living out the prophetic gifts available to everyone. Split into 21 chapters for daily devotions, James offers a practical and realistic approach to hearing God’s voice clearly and correctly. With assurance and confidence in your stride, this book then helps you take the next steps in sharing God’s voice within your everyday life. With illustrations, reflections and prayers from his own personal experience and prophets of the Bible (John the Baptist, Daniel & Ezekiel), James points towards best practice when dealing with the prophetic. Anyone within a prophetic ministry, or desperate to begin one should digest these pages and allow its wisdom to trickle into their lifestyle. Dr. James W. Goll is the cofounder of Encounters Network, a ministry to the nations. He has written fifteen extensive Bible study guides and is the author or coauthor of fourteen books, including The Coming Prophetic Revolution and Praying for Israel's Destiny. Goll is a contributing editor to Kairos magazine and speaks and ministers around the world. He lives in Franklin, Tennessee. 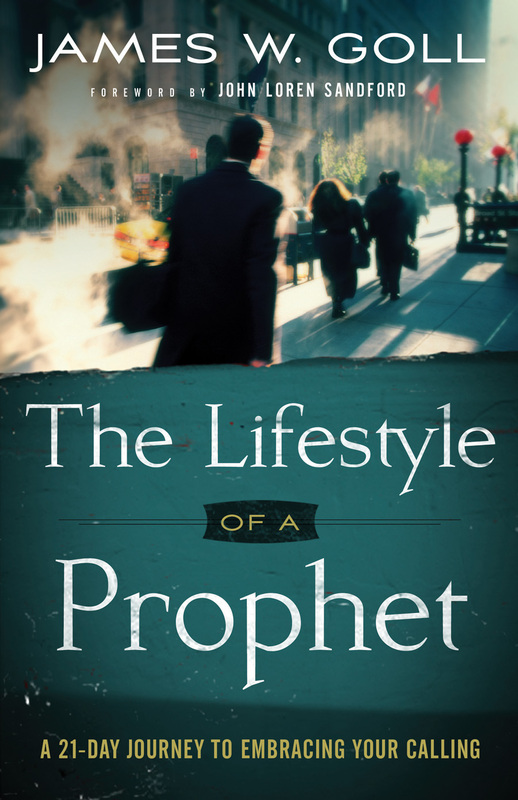 The Lifestyle of a Prophet by James W. Goll was published by Baker in June 2013 and is our 4918th best seller. The ISBN for The Lifestyle of a Prophet is 9780800795368. What an intelligent and insightful book on prophetic calling - on understanding what that is and what it really means if you believe you are called to witness and serve in a prophetic way. This 3 week journey really helps you consider what the prophetic is and in some ways helps you realise it may not be what you thought it was. It works through various biblical characters and situations and references the differences - and similarities of those with prophetic callings - that can be found in the Bible. What's so good about it though is that it starts with intimacy, it highlights prayer and relationship before it moves onto wisdom and finally revelation. It also works hard to ground the ideas into the reality of today and the situations we find ourselves in, so that we can make an informed response to living with and having the lifestyle of a prophet. For anyone interested in the prophetic and in leadership this would make a good study to undertake. It is very well written and has good questions for reflection at the end of each chapter. Though designed for the individual I could see this as a useful tool for those involved with, or setting up, a team based around prophetic prayer or healing as much of the material does have a crossover element to the healing ministries too. What an intelligent and insightful book on prophetic calling - on understanding what that is and what it really means if you believe you are called to witness and serve in a prophetic way. This 3 week journey really helps you consider what a prophetic is and in some ways helps you realise it may not be what you thought it was. It works through various biblical chracters and situations and references the differences - and similarities - of those with prophetic callings, that can be found in the Bible. What is so good about it though is that it starts with intimacy, it highlights prayer and relationship before it moves onto wisdom and finally revelation. It also works hard to ground the ideas into the reality of today and the situations we find ourselves in, so that we can make an informed response to living with and having the lifestyle of a prophet. For anyone interested in the prophetic and in leadership this would make a good study to undertake. It is very well written and has good questions for reflection at the end of each chapter. Though designed for the individual I could see this as a useful tool for those involved with, or setting up, a team based around prophetic prayer or healing as much of the material does have a crossover element to the healing ministries too. Got a question? No problem! Just click here to ask us about The Lifestyle of a Prophet. Internationally respected prophet and bestselling author James W. Goll offers a readable, practical approach to the prophetic gifting. Centred around a unique, hands-on 21-day guide, he helps believers develop the intimacy with God essential to hearing his voice clearly and correctly  and then proclaiming his words faithfully. Through illustrations from his own life and those of John, Daniel and Ezekiel, Goll exposes common misconceptions, the successes and failures of gifted people throughout church history and wisdom from the trenches of the prophetic. Devotional prayers and reflection questions follow each chapter. A must-have resource for those in prophetic ministry and all who work with them.